The Clubhouse – July 16 – TYEES! 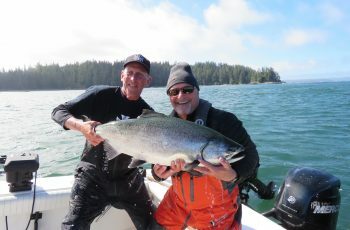 Finally some tyee came through today, calm seas returned and big smiles everywhere on our dock as I write this report. Yes, Lacy Island is alive and well, and another Hippa was released this pm out on the west side. Ed Chutter had a big ego fluff as his guests released a couple monsters. 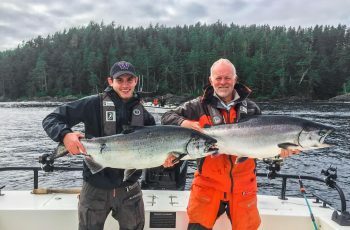 41 lbs with Gord Stothart on the rod and Brian Penny reeling in a 38lber. We all heard multiple snorts and snickers from Ed, a great day for sure. Hans and his guests had a nice day to, grabbing a 31 for Steve Scott, and Louis Monpellier angling a 32 which he released. Koi snuck a 36 into the dock for Neil Obrien, on a flat calm sea with the sun shining, so yes a few tyee around. 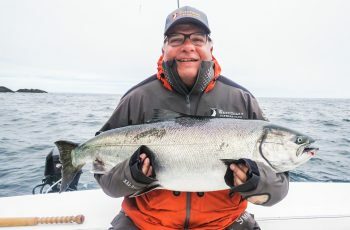 A pretty consistent chinook bite took place all day, every couple passes you had one, but fishing was slower than my last report. The bait is starting to thin out, so who knows, we might just be waiting a day for the next school to arrive. 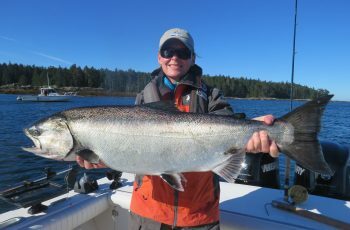 There is a number of coho around as well, Kory was popping off he had a contender in his tote, grabbed out off Lacy. Big male pinks too, and lots of chum, a real mix to keep a guide busy. 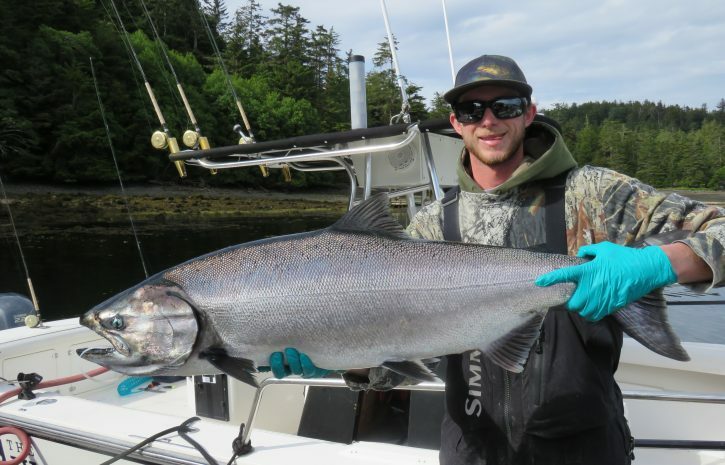 Conman reports halibut was good for his boat, no problem grabbing a limit to 90 lbs. Bud had some fun in the swells too, reporting quick fishing. Some of the fleet fished east as sea sickness reared its head this am, and action was limited. 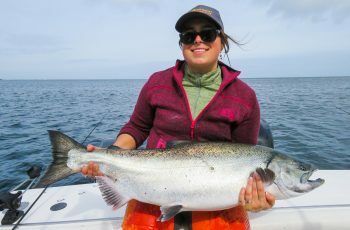 The chinook fishing continues slow on the east side, with Parry Pass spitting out the odd tyee for sure. Tomorrow looks promising, we are again in a foggy weather pattern , but the seas look agreeable. I hope to have a story to tell you tomorrow, until then, goodnight from the Clubhouse.Mike Tonnesen, Head Guide, Clubhouse.